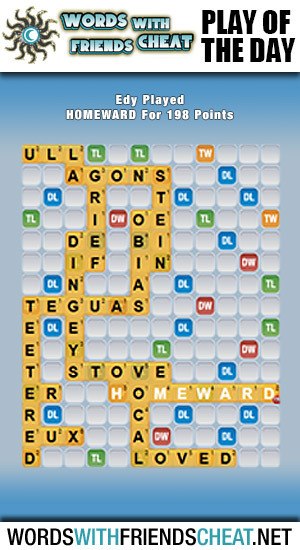 Today’s Words With Friends – Play Of The Day is HOMEWARD (198pts) and was submitted by Words With Friends Cheat user Edy. 1. Also, homewards. toward home.